The study was supported by the Erasmus Mundus Al Idrisi II Programme of the European Union for a stay at the University of Poitiers and the Research Unit of Bio-ecology and Evolutionary Systematics (UR11ES11), Faculty of Science of Tunis, University of Tunis El Manar. TEM observations were made in “Image UP” service at the University of Poitiers. We wish to thank Mrs. Najwa Abdelkefi MSci. Astrophysics Translator/Interpreter for his constructive remarks and for revising the English of the manuscript. 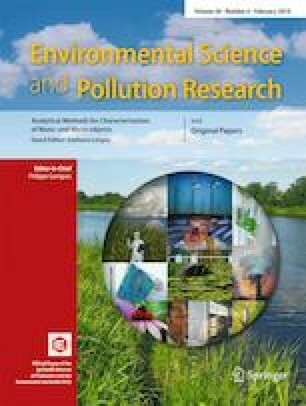 This paper has been selected from the Springer Euro-Mediterranean Conference for Environmental Integration, Tunisia 2017 (www.emcei.net).